Jose B. Guerrero, Chairman, President and CEO, Spencer Savings Bank, Elmwood Park, NJ was recently honored with the David Sarnoff Award for Advocacy at the Sixth Annual New Jersey Immigrant Entrepreneurs Awards at the Asian Indian Chamber of Commerce Multi-Chamber Event in Monmouth Junction. The awards honor immigrant entrepreneurs making a difference in New Jersey. “We congratulate this year’s winners for their contributions to the State of New Jersey and recognize the importance of immigrants to NJ’s economy and society,” says Katherine Kish, Executive Director, Einstein’s Alley. The New Jersey Immigrant Entrepreneur Awards honor immigrant business leaders helping New Jersey communities thrive. The awards were created to highlight the social and economic contributions of New Jersey’s immigrants to communities throughout the state and celebrate the important role of immigrants to today’s economy. The Immigrant Entrepreneur Awards are named for great, historic New Jersey immigrant entrepreneurs and are sponsored by a broad-based coalition of New Jersey chambers, associations and organizations including the American Immigration Lawyers Association, Asian Indian Chamber of Commerce, Diversity Dynamics, Einstein’s Alley, Middlesex County Regional Chamber of Commerce, NJBIA, the New Jersey Chinese-American Chamber of Commerce, Princeton Regional Chamber of Commerce, and the Statewide Hispanic Chamber of Commerce of New Jersey. 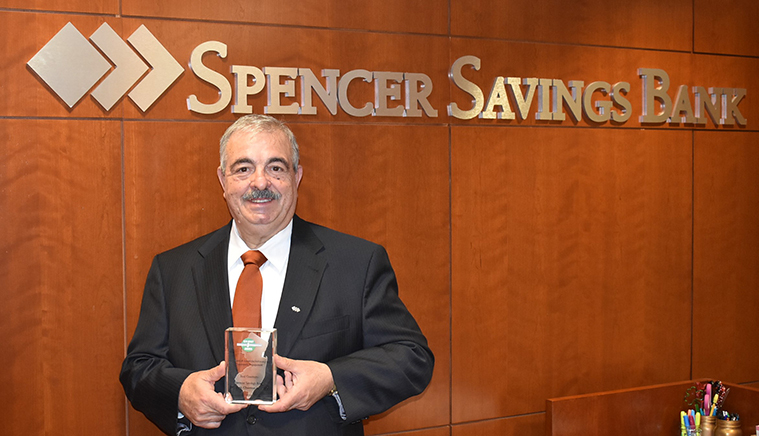 Jose B. Guerrero, President, Chairman and CEO of Spencer Savings Bank was selected for the David Sarnoff Award for Advocacy and Community Engagement. A native from Spain, Jose has spent over three decades serving as President, Chairman and Chief Executive Officer of the Board for Spencer Savings Bank. Under his leadership, Spencer has spent decades making its community a better place to live and work. Jose believes strongly in giving back to the local community and continually lends bank resources and support to numerous community and civic groups, partnering up on projects that uplift the community and make a true difference in people’s lives. The many award nominees represent small mom and pop businesses as well as large corporations (ranging from high-tech firms to professional service providers, from manufacturing operations to restaurant and financial institutions). Combined, they employ hundreds of people and do billions in sales. Below are the 2018 award winners, their NJ business location and country of origin.